Brand New! 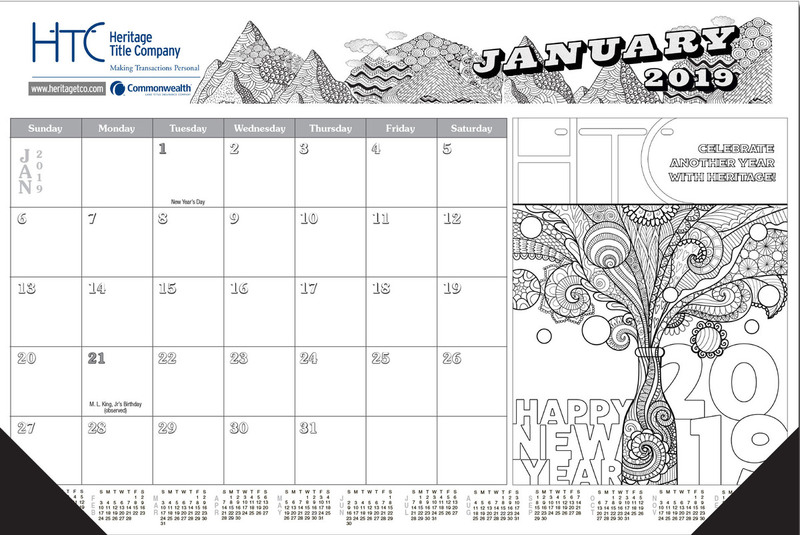 Adult coloring book desk calendar. Desk pad contains a drawing for each month. Calendar is 18" x 12", and has padded top with 2 black vinyl corners. There are many therapeutic benefits to coloring including: Stress Relief, Serves as Meditation, Reduces Anxiety, Therapy for many diseases, and Sparks Creativity. Full Color Imprint included in unit price.